1. Find the image that represents your state on the TFIOS tumblr page. There are 51 total. Google the shape of your state if needed. 2. Like or reblog your state's GIF to "vote". Get as many others to do the same before April 25. 3. Wait patiently for the results. Make some tea. Feel some feels. 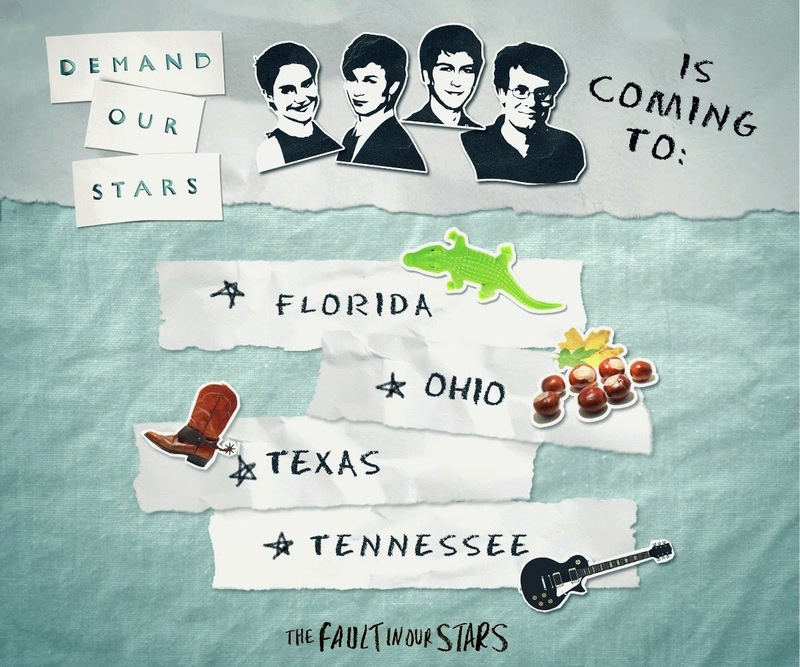 Update: The TFIOS Mall tour will be at Florida, Ohio, Texas, and Tennessee. ;(( i wish they would've come to Pennsylvania! so close to winning too.